This is a dish my friend Jean-Luc cooked for us on Saturday night. 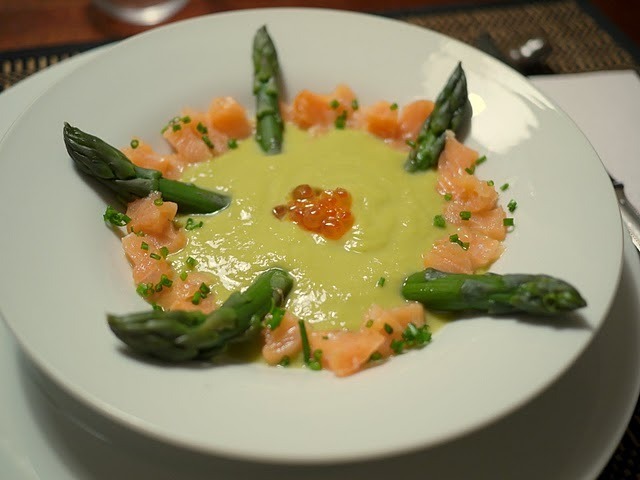 Asparagus cream, with the heads, with smoked salmon and salmon eggs. Incredible.